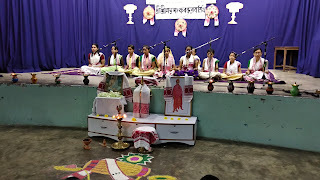 The 'Tithi of Sankardeva' and Universal Brotherhood Day was celebrated in the VKV, Golaghat premises with great joy and spirituality. 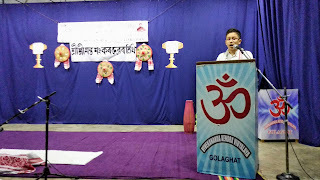 The celebration of the occasion commenced with Kirtan path by Ratul Kalita Sir and Biren Sir. Next followed a beautiful rendition of Borgeet by the students embracing the entire occasion. 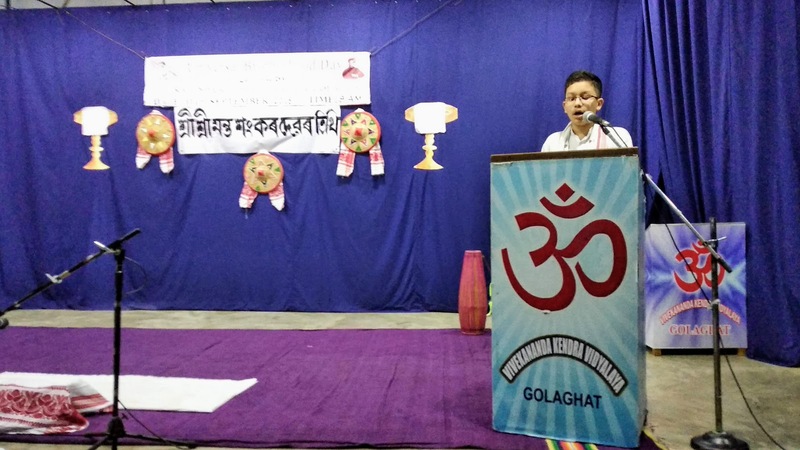 After this Ratul Kalita Sir delivered a speech emphasizing the celebration and importance of the day. 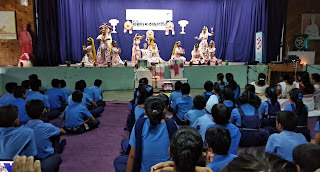 Further followed an exquisite satriya dance performance by the students of class 6,7,8 and 9. 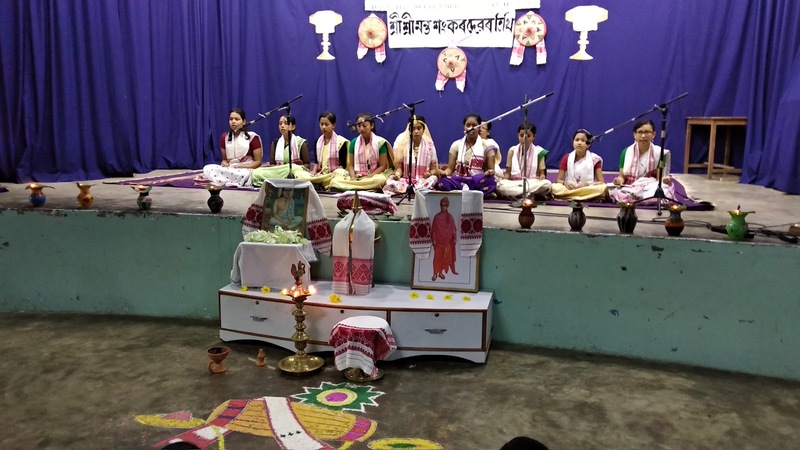 A song on swamiji was then performed by the students of 6,7,8 and 9. 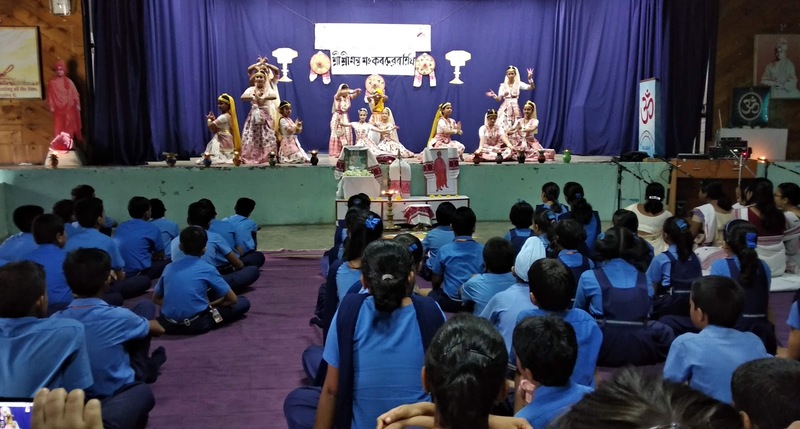 One of our students Kasturi Devi then delivered a speech concerning the occasion following which Lokgeet and Borgeet performances by the students were done. 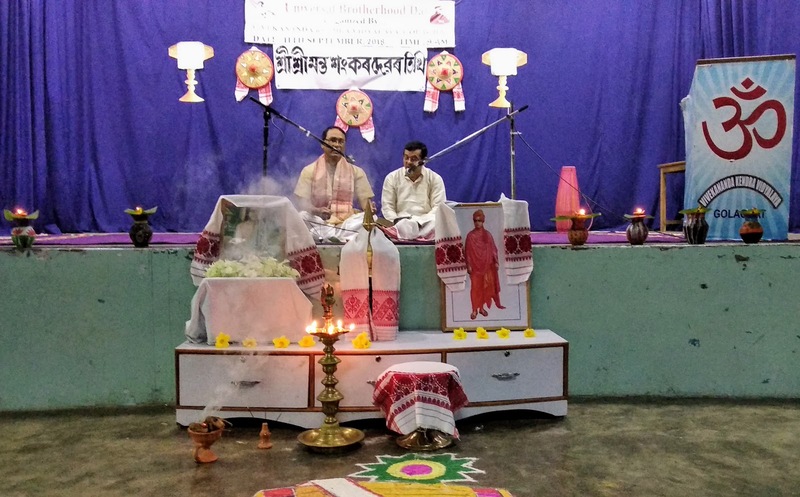 Finally a documentary on Swamiji was demonstrated which brought an end to the celebration.The 'Tithi of Sankardeva' and Universal Brotherhood Day was celebrated in the VKV, Golaghat premises with great joy and spirituality. 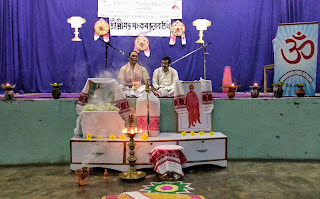 The celebration of the occasion commenced with Kirtan path by Ratul Kalita Sir and Biren Sir. A song on swamiji was then performed by the students of 6,7,8 and 9. One of our students Kasturi Devi then delivered a speech concerning the occasion following which Lokgeet and Borgeet performances by the students were done. Finally a documentary on Swamiji was demonstrated which brought an end to the celebration.